Please describe and tell us about your baby hat. I've always loved pink and brown together for my girls... and a couple years ago, I picked up some pink, brown, and cream colored yarn that I thought looked just like neapolitan ice cream and decided to create a hat in honor of it. I saw one similar online at the time, and decided to make my own version. I used Aslan Trends Glaciar del Cielo on size 7, 16 inch circular needles. I bought both at my local yarn shop. Tell us more about the pattern you used. I made up the pattern based on the gazillion baby hats I've made over the past 7 years since I started knitting. It's a basic baby hat with a roll brim and a little stem on top to tie the cherries onto. Cast on 64 stitches and knit in the round for a newborn size, increase the amount you cast on by 8 stitches when you want to increase the size of the hat! Generally, I cast on 64 for newborn, 72 for 3-6 months, 80 stitches for a 6-12 month size, and 88 for a toddler hat. I love knitting in the round, because I can knit while watching a movie and mindlessly go round and round until it's time to decrease at the top. 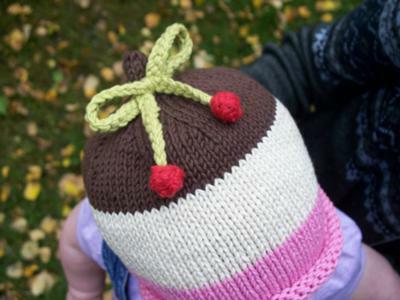 Did you run into any problems when knitting your baby hat? How long did it take you to knit? The cherries on top are crocheted, and are definitely my least favorite part of the hat to make, even though they are adorable. The hats normally take a couple hours each, and the cherries an additional 30-40 minutes. Anything else you'd like to share about your knit baby hat or knitting in general? Baby hats are my specialty. They're quick and adorable. I love gifting these. They are unique and keep babies warm in the winter. This baby hat is very very beautyfull and great I very like this baby hat and very unique disegn . This cap is very soft and beautyfull.This cap design is very great and unique. This yar is very soft like cat feeling and not to havie too its very light waight. Looking very cute and yarn if you are asking which have to be used i think 9/1 maybe but i'm not sure. Realy informative content. I'll appriciate all of you guys. Really good website for childrens.it gives every thing according to our children needs. We're the #1 Rubber Floor Matting UK. We have large choice a multitude of flooring goods like kitchen flooring, garage flooring, gym flooring, rubber floor uk, rubber floor tiles uk, rubber matting uk, rubber flooring company uk. You are talking about childrens. Children have different hobbies and habits. Sometimes thay are very naughty and sometime they are very nice. Nice website about baby stuff. I like baby stuff. I will copy these designs for my shop. Keep sharing more. Your stuff is very well.i appreciate your article.if you want club penguin cheats to club penguin membership and club penguin membership generator to get generator,cheats, cp codes,free club penguin at zero amount than visit our site on us. I am very impressed to see these type interesting stuff about babies. I appreciate your work. Hope you will make more effort. Great website about baby stuff in which you have posted about baby toys,baby clothes etc which is very interesting to read. I have just came across your website,you have mentioned about baby which is very interesting to read. I like reading the post,you have work had in making this post.It is the best post i have ever read. This website is very nice,the stuff is well written.I will share the post with my friends. This is a well crafted content on this topic. I have been looking at beginning a new company and this is useful details to help me in my choice. Thank you. This website have a lot of amazing and great posts. i really found this website inofrmative regarding children stuff. thanks for this effort. 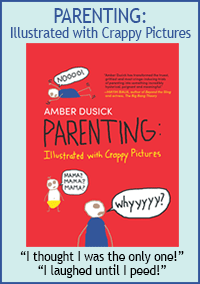 Amanda is good writer and he has wrote some good and very informative articles about the baby stuff. We can say that this especially for the women who have baby and want to get new stuff for baby. I actually, I'm looking a person who must be assignment writer and great skills of writing as well. I must share this website with my friends. Wow! what a great post. I think the picture of the Neapolitan Sundae published on the web site is really fantastic. Could you please discuss the making this Neapolitan Sundae. thanks for it. Thank you so much for your sizing info for this pattern, as new knitter that is stuff I'm just now learning and you make it sound so simple! Thanks! What great colors! Love the neapolitan idea.